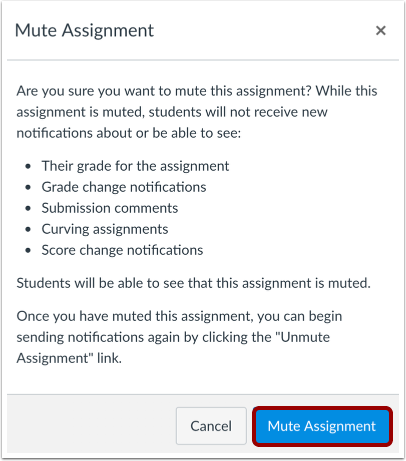 To unmute the assignment, hover over the assignment column header and click the More Options menu , then click the Unmute Assignment link . 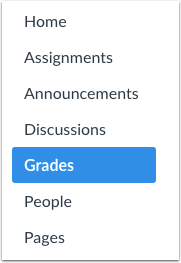 Previous Topic:How do I change the color for a grading status in the New Gradebook? 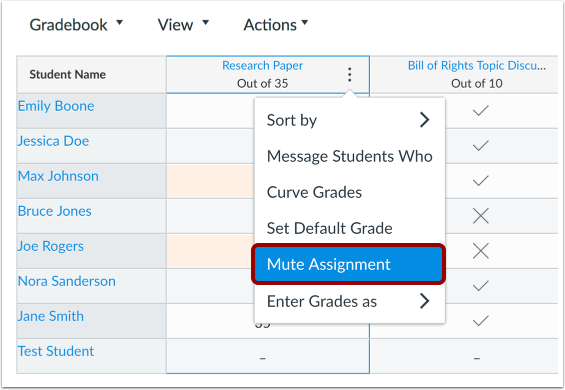 Next Topic:How do I send a message to students from the New Gradebook? 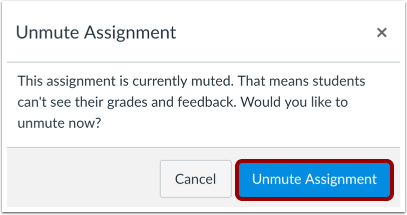 Table of Contents > New Gradebook > How do I mute or unmute an assignment in the New Gradebook? I am an instructor. I have a huge list of assignments. I cannot find which assignment(s) are still muted by scrolling through them -- they all look fine. Yet there is a warning that some assignments are muted. 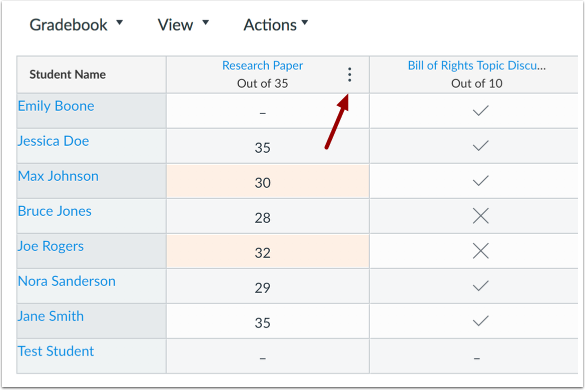 How do I find the muted assignment? Thanks for the question! 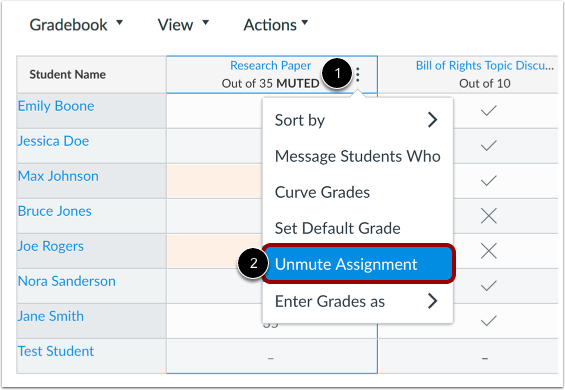 The header for a muted assignment will display the text "MUTED" in bold text. 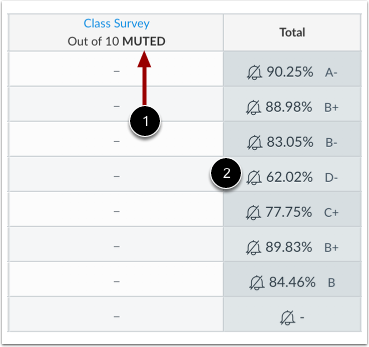 If you have smaller columns in your gradebook, you may need to resize them to be able to see the MUTED text. Another difference, although subtle, is that any scores already entered are grayed out (score numbers or text are gray instead of black). I hope this helps!